What are your essential pieces of hiking gear? With summer right around the corner, we’re starting to think about hiking, and gear is a regular topic of discussion here at 10Adventures HQ. Whether it is a perfect piece of clothing, a favourite backpack, or great hiking poles, the best hiking gear is an intensely personal choice. We asked some of the 10Adventures contributors to share their favourite pieces of hiking gear for this article. Below are some of the essential pieces of hiking gear you’ll find in our packs this summer. When we need waterproof protection and stable support, we reach for Arc’teryx’s innovative Bora2 boots. We reviewed them last autumn and were blown away, and they are a new addition to our list of our favourite hiking gear. 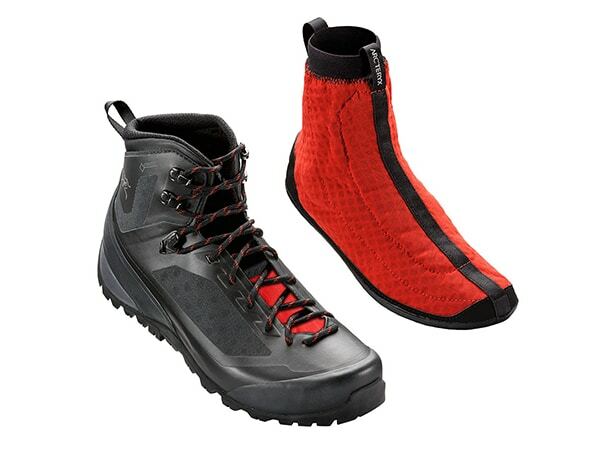 These boots combine the stability of a hiking boot with the nimbleness of an approach shoe, so they perform on all types of terrain – from rugged climbs to smooth trails. Plus, the Gore-Tex liner keeps your feet dry when navigating melting snowpack, rivers and mud (while still letting them breathe comfortably – better than a lot of hiking boots we’ve used). One of the main reasons we love this boot is the Adaptive Fit liner, which is essentially a stretchy, moisture-wicking bootie with Gore-tex. It gives these boots a more adaptive and comfortable fit, dries much quicker, and offers more protection than other boots; it extends up past the top of the boot for a waterproof seal around your ankle. 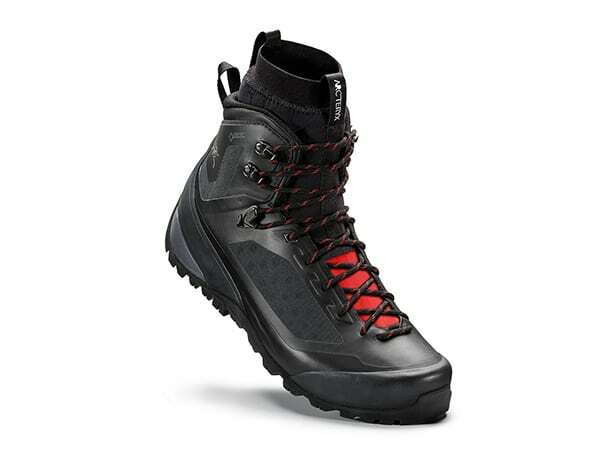 Unfortunately they don’t make a women’s version of the Bora2, however they do make the Bora GTX hiking boot for women. The Bora is essentially the same as the Bora2, only without a removable liner. When we want to travel light or fast – or going for a trail run – we opt for the SpeedCross 5. These running shoes prioritize flexibility and grip over waterproofness, with a hefty rubber outsole and large lugs; even on soft and muddy terrain, our feet stay firmly planted for a sure step. They’re not the lightest running shoes thanks to the hefty sole, but they’re plenty breathable when working up a sweat, and plenty comfortable for long days on the trail. Everybody here at HQ likes a different brand or style of sock, so we can’t recommend a single brand of sock. What is important is to find the right pair for your feet.  Two tips about socks are that wool socks seem to cause fewer blisters and that many of us start the hiking season by wearing liner socks to reduce blisters. 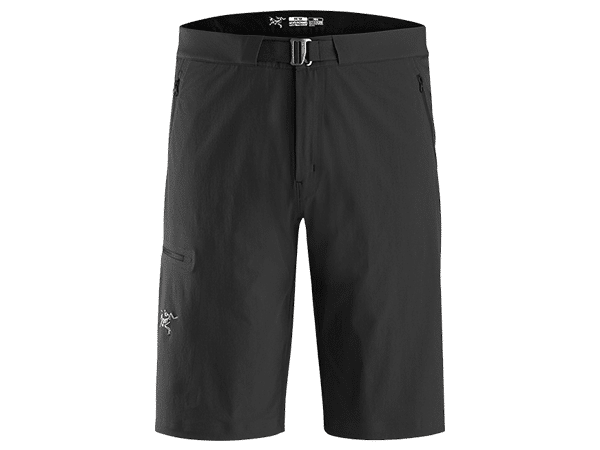 The wonderful Gamma LT Shorts are essentially the Gamma LT pants converted into shorts, and one of our favorite pieces of hiking gear. They’re light and super comfortable, with stretchy breathable fabric that is abrasion-resistant and blocks out both wind and rain. They’ve got an assortment of zippered pockets for stashing items and snacks in, and even have a nice integrated belt that’s easy to adjust. We love ‘em and wear ‘em all summer long. 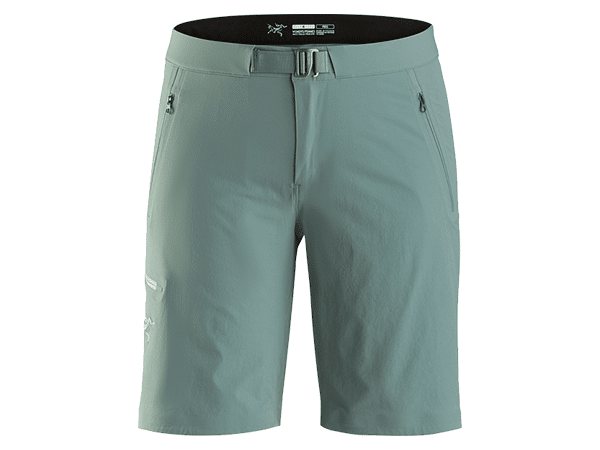 There’s also a great women’s version of the Gamma LT shorts. Merino wool isn’t just for winter. We love Merino primarily because it doesn’t stink, while also able to breathe and help keep us cool when working up a sweat. If we’re on a backpacking trip, you’ll be sure to find a lot of Merino wool clothing on us! 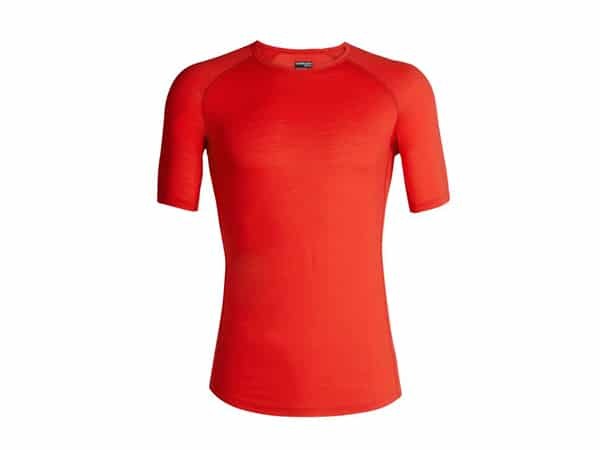 The BODYFIT 150 t-shirt (also in men’s) is perfect for summer hiking. It wicks moisture away like a champ, breathes enough to keep you comfortable on warmer days, and has a soft, stretchy fit that moves with you. If you want a bit more breathability, the Capilene Lightweight Crew is a popular choice here, and there is also a very popular women’s version. Made from recycled polyester, it’s Patagonia’s lightest and most versatile base layer, great for wearing on its own in warmer weather. Capilene layers are super soft and come with Polygiene to ward off the smell that usually accompanies polyester. 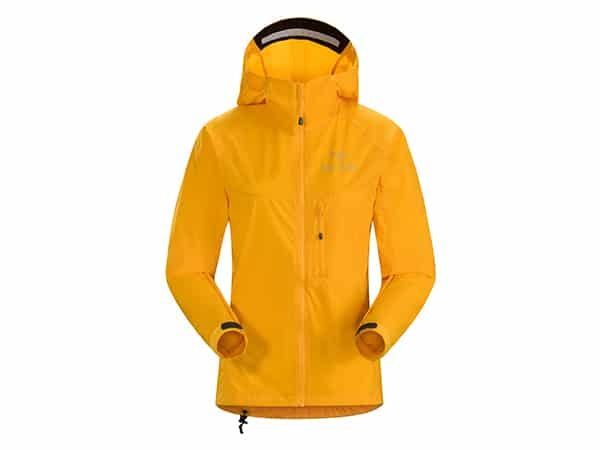 Ultralight and reasonably priced, it dries impressively fast, making it a great choice for hot summer expeditions. 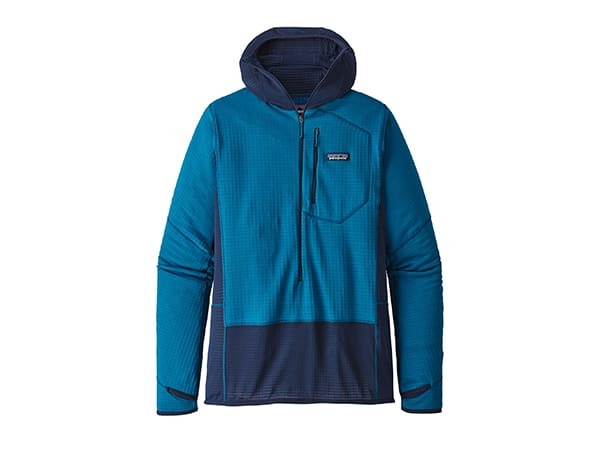 Show now as there is a great selection of sale items on Patagonia’s online store. When things get chilly – and they inevitably will in the mountains – we reach for Patagonia’s R1 fleece Hoody. While we honestly get more use of the R1 in winter, this is still an essential piece of hiking gear for us on days where it looks to be cool in the alpine. We like the R1 more than bringing a fleece coat, as it keeps us warmer than a coat and the hoody is super useful on cold days. Not only is the R1 warm, but the Polartec Alpha Grid fabric is soft, comfy and stretchy, and has Polygiene to keep odors under control. 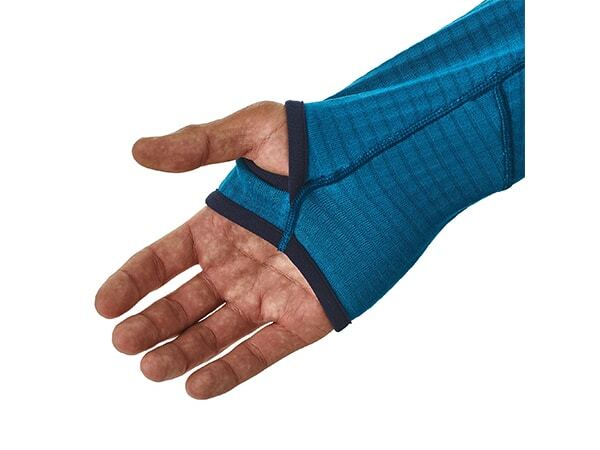 The slim fit is athletic and flexible and we love the thumb holes. The weight is light enough for summer wear but still packs plenty of warmth for unexpected chills. 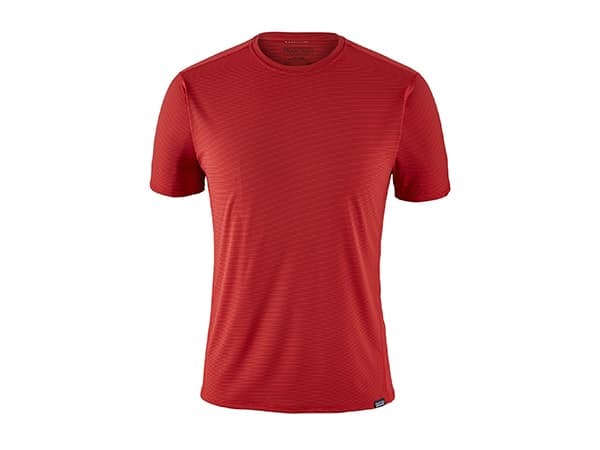 Paired with a merino or synthetic base layer, you’ll be outfitted for both hot afternoons and cold nights. 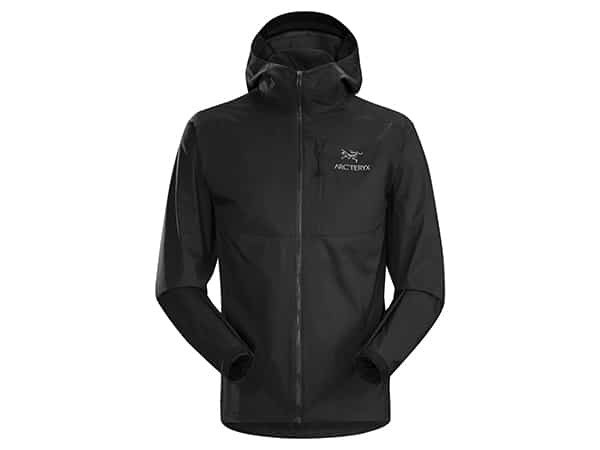 The Squamish Hoody may just be our single favorite piece of hiking gear. 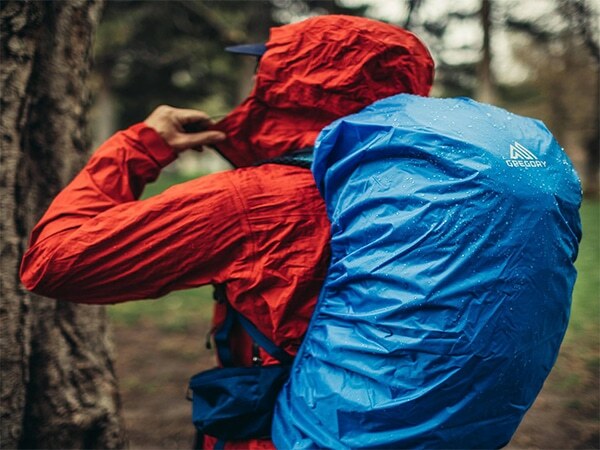 We bring this ultralight wind shell with us on every summer hike, and usually end up breaking it out most days. It’s not designed for wear in heavy prolonged rain, but the DWR coating will repel light mists and quick afternoon drizzles. As a wind shell, the Squamish Hoody performs like a champ, every time. Other perks? It’s super light, weighing only 5 ounces for a large men’s, and packs down into its own chest pocket. The fabric is stretchy and it has the gusseted arms and articulated elbows needed to move with you as you climb, run and hike. Keeping the sun out of your eyes and off your neck can make the difference between a very uncomfortable and dangerous hike, and smooth sailing. 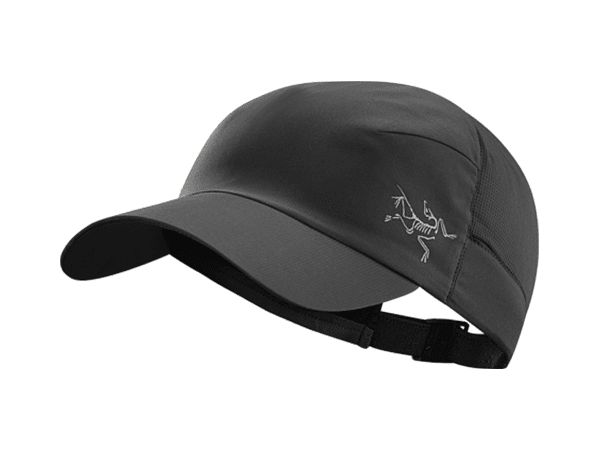 We’re partial to the Arc’teryx Calvus cap, as it’s super lightweight, breathable and looks great. It’s become our go-to cap for in-town wear this spring. 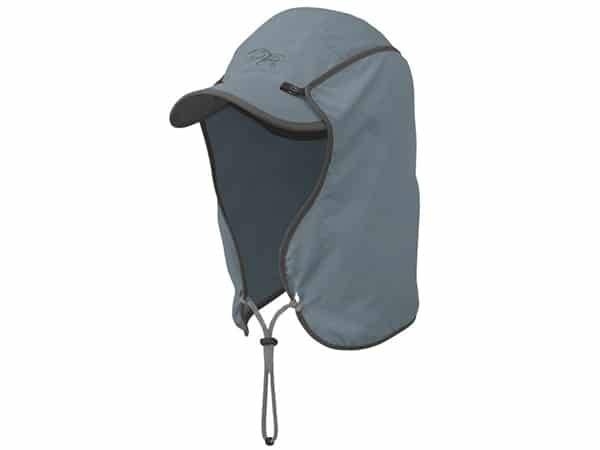 If you prefer more comprehensive coverage against the sun, you might prefer a sun hat – like Outdoor Research’s Sun Runner. It’s essentially a ball cap – like the Calvus – so you can wear it around normally when you don’t need the extra protection. When you do, just snap the sun cape on and you’ve got coverage that wraps all the way around your neck and the sides of your face. 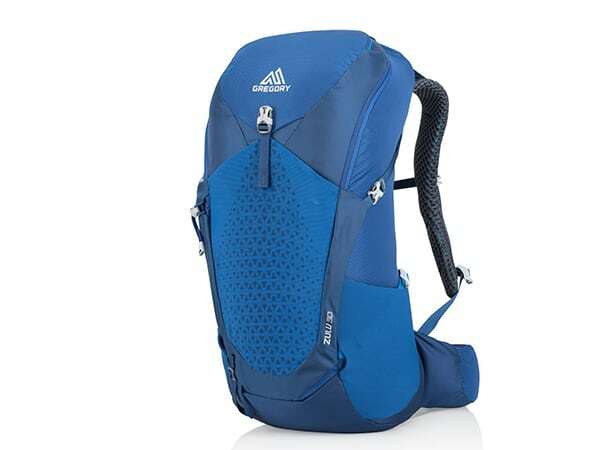 We’ve found the Gregory Zulu 30 to be a great pack: comfy, breathable and we really like the opening in this pack. The 30 is also the perfect size for summer day hikes (or even overnighters for ultralight hikers) and comes with all the features you need. It’s easily one of the best ventilating packs we’ve used, with a mesh back panel and suspension optimized to keep things cool and breezy. The internal frame and loadbearing straps also distribute weight comfortably. There’s quite a few sleeves and pockets, and an included rain cover, which is a nice feature. This is definitely not an ultralight product, but if you carry a decent amount of gear on a day hike, you’ll appreciate the extra pockets and organizing options. Hiking poles are an essential part of our hiking gear, and a good pair is totally worth the investment. 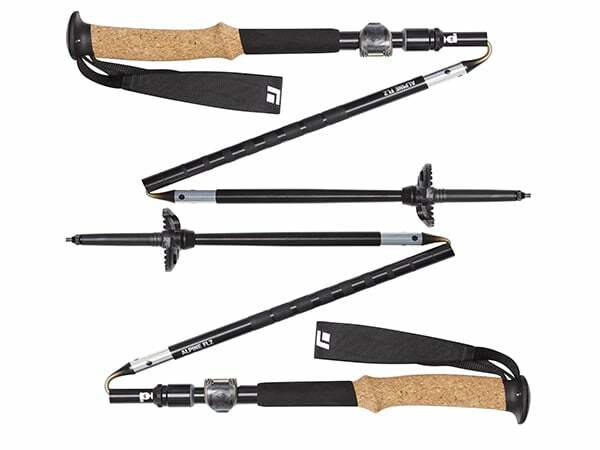 The BD Alpine FLZ poles are all-season, lightweight poles that break down into three connected segments, that slide easily together and lock tight. They’re sturdy enough for 4-season use, but we especially love the light weight (1lb per pair) and packability in the summer. 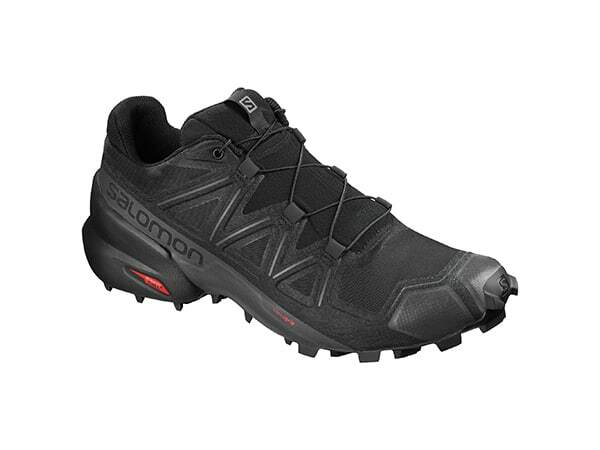 The newest model is now 30% stiffer, too, providing better support and durability on all terrain. These are what some of us here at 10Adventures HQ think are the must-have pieces of gear for hiking each summer. What are your must-have pieces of gear for a hike in the summer? Share your favorites in the comments below. I wish I had the money to buy everything here! Gotta wait for my brother to hand-me down his most recent gear! The Zulu backpack is great. I love it. So light and sits well on your back.